What Catcalling Says About A Man: The Roots And Consequences Of Catcalling. Catcalling has become an endemic trend, which is having a devastating effect on society and on both, men and women. It is not only women who suffer the consequences of catcalling, even though women are the ones who feel the immediate effects of such mindless acts. In order to change it, first we have to understand its roots. There is no change without awareness. And awareness is precisely what men who engage in this practice lack. Catcalling is a charmless act, which has the opposite effect to what is intended to achieve. How very ironic! It is disrespectful, intolerant and it's another proof of the devolution of men and a society in which anything goes. The fact is that men are also victims of the energy that creates. Catcalling generates from the low energy of collective consciousness and it is another product of the compliance of patriarchal society with transgressive attitudes towards every human being. In this case, patriarchal society extends a opaque veil under the spell of an obsolete education system which deliberately shadows natural laws and the universal truth. A man prone to catcalling is a man uneducated and misinformed, even if he has two PHD's hanging on his wall. Men as a collective have a long way to go in terms of learning how the universe works and the consequences of our actions. The law of cause and effect has no mercy even if we don't perceive it immediately.The energy we create comes back to us in ways which usually cannot be associated with our past actions, but it always comes back to us. What catcalling says about a man is that he is not yet a man, but still a boy. A boy who has not yet managed to develop healthy ways in which to communicate with women in order to find the love he wants. Because it is love what he is looking for. As an immediate effect, this man is surrounding himself with a sphere of energy which makes it impossible to communicate effectively. The more aggression we transmit in our communications with others, the less we are going to be able to express what we truly want to say; and that is: I want to be loved. Catcalling is nothing but the cry for help of the inner child that never felt loved. Every action men take in this direction has several effects on us and they are all negative. We get the opposite of what we want from women. Instead of getting their attention, what we get is rejection, causing more misunderstanding between genders; therefore, in a not so obvious way, we are rejecting that love we are looking for. As a collective we are creating a psychosis which is damaging the relationships between men and women. Women no longer trust men. Even if the action is not physical, the aggression can be felt energetically. But catcalling goes further. It is a training ground towards more violent actions in the future. 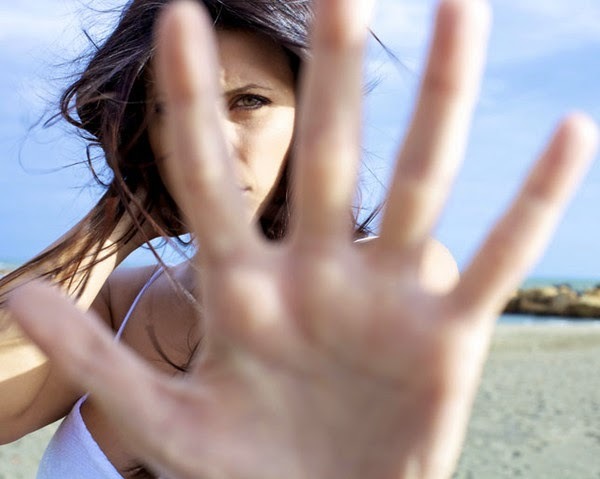 As we are rejected, the sense of immediate rejection goes deeper, creating a wider void within, more frustration and resentment, which in turn is going to create more aggression towards women. As catcalling seems to be acceptable, too soon we lose the notion of what's acceptable and what is not. When we lose track of the permissible limits we step beyond boundaries with terrible consequences to others. The hostility of this energy is not only going to put off the woman exposed to the immediate action, but every other woman, as the energy we create remains with us and it is transmitted through our field of energy. Energy might be invisible to most, but it is very perceptible to all. As the creators that we all are, this is the kind of energy and reality we are creating for ourselves. When we wonder why our lives are not better, we have to look at our thoughts and actions to find the answers. We are terrible at creating a beautiful and abundant reality. Instead of abundance what we create is scarcity, and with every action we increase the sense of deprivation. No man is ever going to get what they want from a woman in this way. The sad reality is that catcalling is now used to express the frustration of not getting what we want and the contempt we feel towards women for not giving us what we want. We, as a society are confused by a false sense of entitlement. It is only us men who are to blame for the way we are seen by women. And it is only men who can change this by raising awareness and stopping this wave of collective madness. Another of the imperceptible effects that catcalling is spreading worldwide, is the fact that it is making women stronger as a group, making them more resistant and defiant; less tolerant and understanding and eventually more organised in order to create a different reality of society. This is good news, as patriarchal society has underestimated women for too long. The more a person suffers, the stronger they become. The impression that women are weaker and men stronger is only an illusion that we can dream of for as long as we like, and until a new reality hits men hard. It is women who will change the world, and of course, only when they do, men will follow. We already do; we are just too weak to admit it. We have flashy cars and pompous job descriptions to disguise who we really have become; nothing but a bunch of boys who want to be loved and too scared to admit it. But this is not who we truly are. We are better than this. We know it deep inside, but it is a matter to hold our impulses and learn new channels in which communicate our true nature. This is perhaps the best opportunity that has been presented for me to explain how we can heal through feeling and how we can release trapped energies from our bodies, which unknowingly turn all of us into puppets of our own circumstances. During the writing process I feel the energy of the topic I write about. My eyes are currently dry. My vision is blurry. I feel sluggish, bloated and tired. It is a very draining, coercive and paralysing energy, very similar to the energy of shame, which in itself serves to give an idea of the effect that catcalling has on each individual and society. I had not experienced any of these feelings before I started writing. I feel extremely uncomfortable and in a way I would love to get rid of the feeling, but I stay with it for as long as it takes; as I know that once this blog post is finished and published, the energy will be released and I'll return to my normal self. By feeling this energy for as long as I can until is released, I am going through a healing process, not only for me, but for everyone else involved. I am sitting at a coffee shop and interestingly enough, everyone sitting at the tables that are closest to me happen to be women. All four tables were empty before I started writing. All these women are beautiful and at one point or another they're all look at me with friendly expressions, even though I am feeling this energy.This is not my energy, but the energy of the collective. What I'm doing is to hold it, instead of using it against anyone else. To make the process even more fascinating and tempting, one of the most beautiful and attractive women I've seen in years has entered the coffee shop and sat right in front of me. It is tempting because physical beauty somehow instigates certain need to express in words the feeling that her image has created in me. This is of course the initial impression, lasting a few seconds. In order to get a feeling of what a person is, I transcend physicality and it is only then when the essence of a person shows. If my attention was concentrated only on expressing praise towards the physical, I know for certain that the friendly looks I am receiving would change into protective and rejecting glances and the tables would soon be vacated. This is a conscious action that any man can take in order to release such energy, as this is not who really are, only what we have learned to be. By doing this, instead of spreading the energy of catcalling, what we do is to magnetise instead, as we have transcended the physical and allow the soul to express itself freely while in the presence of others, creating an understanding at a soul level and restoring relationship between men and women. As you can see, the key to it requires to hold the first impulse and feel it in our bodies. We choose who we want to be and what actions we take. It is up to every man to decide who and what he wants to be after all. To make this conscious choice only takes a couple of seconds. I believe that both men and women should be told more often how beautiful they are, but as the general feeling is of distrust, we have to find new ways of doing so until it becomes natural and non-intrusive. A woman is much more than her body or her physical appearance. She is a human being who wants to be loved and understood. And she is above all a beautiful soul, not only her body. To limit anyone to their image is to exclude also most of who they are. Catcalling is not doing any favours to anyone, and if you are participant or condoning it in any way, you are the first one to be affected by it even if you don't feel it or don't know it yet. It tells the story of a man who's lonely, insecure, feels inadequate and somehow resigned to never being truly loved nor understood. I know where I stand, and that is against it, as it is a form of harassment. It is now your call.